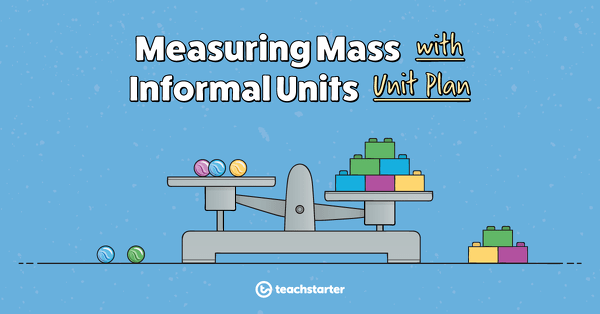 This Mathematics unit addresses the concept of measuring, comparing and ordering mass using informal units. 4 Mass Investigation - How Heavy Are the Objects in Your Classroom? To explore the concept of mass by comparing and ordering objects. To create a set of balance scales for measuring and comparing the masses of objects. To develop the concept of mass by comparing and ordering the masses of objects. To apply knowledge and understanding of mass to a real-world context. To revise and consolidate the concept of mass. Prior to commencing the unit, create a measurement display in your classroom. Display teaching resources in the classroom that will stimulate the students’ interest and assist in their learning. 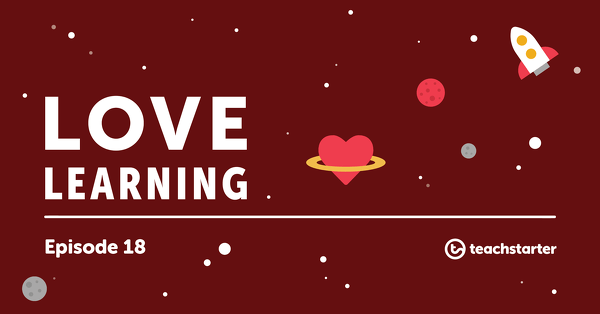 For examples of teaching resources to display in your classroom, browse the Mass collection on the Teach Starter website. A 60 minute lesson in which students will explore the concept of mass by comparing and ordering objects. A 60 minute lesson in which students will create a set of balance scales for measuring and comparing the masses of objects. A 60 minute lesson in which students will develop the concept of mass by comparing and ordering the masses of objects. Mass Investigation - How Heavy Are the Objects in Your Classroom? A 60 minute lesson in which students will apply knowledge and understanding of mass to a real-world context. A 60 minute lesson in which students will revise and consolidate the concept of mass. A 30 minute assessment in which students will demonstrate their knowledge and understanding of mass. Mass Investigation – How Heavy Are the Objects in Your Classroom? A mathematics investigation involving mass, embedded in a real-world context. 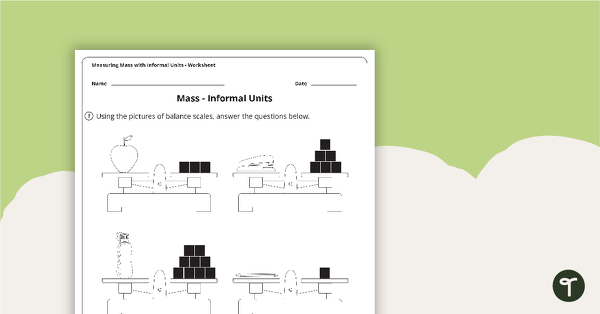 A worksheet to use when exploring mass and how to measure it with informal units.